Christmas will be here in a few days, and with that, a time for me to reflect on the true meaning of the holidays and gift giving – specifically, charitable giving. This Christmas, my girlfriend and I decided to keep gifts under $50. We also plan to spend a day volunteering at a local soup kitchen. Unlike most of my possession-driven companions, I don’t spend exorbitant amounts on gift buying. I have a very small family (no wife or children) and I don’t believe in the concept of it. Spending hundreds (sometimes thousands) of dollars on gifts is a joke – we’ve been brainwashed into thinking it’s normal. Christmas is another in the line of commercialized holidays – similar to St. Valentine’s Day, Mother’s Day, and Father’s Day – where retailers and advertisers do a masterful job of making us feel guilty for not spending hefty on friends and family. 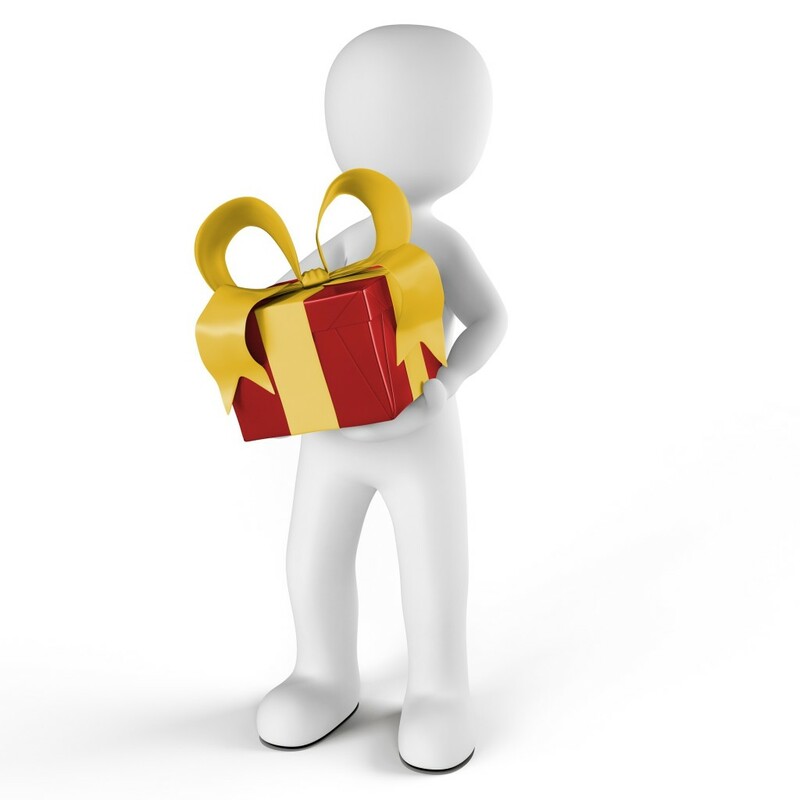 Most of us do not have a need for gifts. Sure, they are nice – but certainly not necessary. Our wants are almost zero in comparison to those around the globe. We want gifts because we have been taught to want gifts. We say we don’t want anything, but we secretly do. Ripping apart the wrapping paper like a savage in now part of the Christmas tradition, both for child and adult alike. The majority of the gifts I get end up in the closet or a drawer. Because I don’t have an obvious need for things – what I get is usually underwhelming to me. Unless I’m in love with it – I just don’t use it. I smile, say thank you, and put the gift somewhere, never to be used. More junk to add to the collection. If I had children, I would certainly buy them presents. Gift giving for children is different than for adults. For a child, a gift is the greatest thing in the universe. Children obviously do not understand consumerism and the genuine significance of certain holidays. That’s why it’s vital to teach such things to them early. Explain to them that holidays such as Christmas are a time for family, to be grateful for health and relationships, and to value the people in our lives. Still, even for kids, gift giving should be pragmatic. Buying a new toy? Fine, but buy something that your child won’t get sick of in a week. The situation is completely different for adults. There is simply no reason you should be spending big money on a spouse, girlfriend, parent or sibling. It’s wasteful and neglects the true intent of the holiday. I believe in giving small, meaningful gifts. In fact, practical is a better word. Something that the person can use multiple times over. This means my presents are often books. No item can give you so much for so cheap. Books are inexpensive and contain information most people should be learning about – as long as you choose the right books. For $10, my gift could lead to life altering results, or I could choose to spend that money on a $200 handbag. Which seems like the more rational gift to you? Try to throw a few books on your shopping list this year – it will mean a lot to whomever you are buying for. Most of us find joy in helping others. This extends to gift giving. I certainly feel a sense of excitement when someone is opening a gift I got them. However, like I previously stated, the gift does not have to be super expensive – that defeats the purpose and meaning of the act. 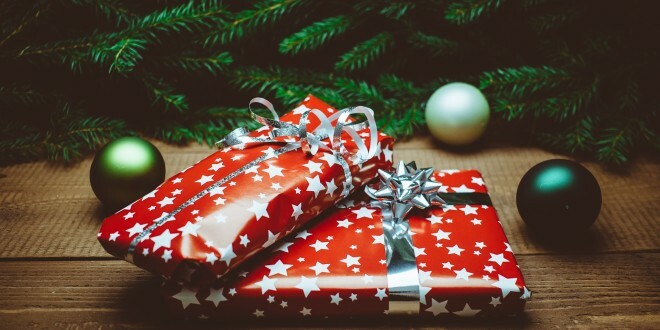 Realize that the act is more important than the gift –giving a part of ourselves, whether through time or money (even small amounts), is vastly more important than buying a mountain of presents. It’s all about the positive emotions that are elicited. It took me a long time to understand this. I was spoiled growing up and as an only child, I was naturally a little selfish. I loved gifts – the more the better. I now realize that I do not need material possessions to make me happy – only strong relationships and a positive mindset. The team questioned 16 employees in line for a company bonus of $3,000-$8,000. The team asked the subjects about their happiness before and six to eight weeks after the bonus, and how they spent the money. The size of the bonus did not determine how much happiness grew. Instead, the amount spent on others or given to charity was correlated with how much individuals’ happiness levels had risen. Giving to other people has improved my happiness, focus, and overall sense of self. I know that I have put others ahead of myself, using my money to help someone without it, instead of wasting it on something I (or someone I know) doesn’t need. There are two organizations in which I gave monetary donations in 2015 – the United Way and XPRIZE. This nonprofit charitable organization has 1800 locations in 40 countries worldwide. 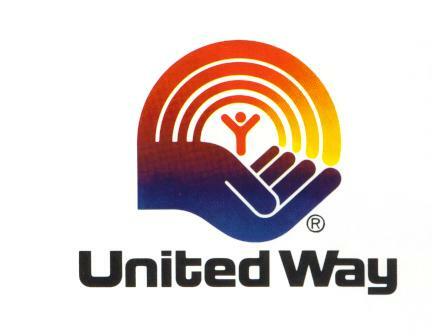 This year, I donated both money and time to the United Way. I spent a day at my local United Way office, helping others build bicycles and designing life-size board games. These games were meant to be used with children to advance their literacy and understanding of vocabulary. It was a great experience and we all walked out feeling accomplished – like we had done something productive and meaningful (I discuss more on that here). I came across this organization listening to a Tim Ferris podcast with Tony Robbins and Peter Diamandis. XPRIZE uses HUGE monetary rewards to achieve the goal of advancing humanity. Each XPRIZE draws the brightest minds from across the globe – leading to the formation of hundreds of teams competing for first place and the prize money, which varies among the different XPRIZE competitions. From industry experts to college students, and everyone in between – anyone can form a team and enter. This intellectual crowd-sourcing is highly effective and leads to a high degree of competitiveness, all while attacking the biggest issues we face in society. Not to mention, guys like Larry Page, Elon Musk, and Mark Zuckerberg all sit on the Board of Directors. No big deal. XPRIZE has had some pretty cool and effective competitions in the past (and present) including curbing carbon emissions, ocean exploration, U.S. adult literacy, cleaning up the Deepwater Horizon mess, and many more – all of which have solved a variety of needs. I suggest checking out their website for the different achievements. One current XPRIZE is the Global Learning challenge – aimed at eradicating illiteracy among children. The prize for the 1st place team? $15 million. The goal is the creation of an open-source (free) Android software that could be dropped into the hands of an illiterate child that could effectively teach reading, writing, and arithmetic skills. The pilot will be in impoverished African communities over an 18-month period. 250 million children do not have basic literacy skills. You can imagine the massive benefits if this XPRIZE materializes. 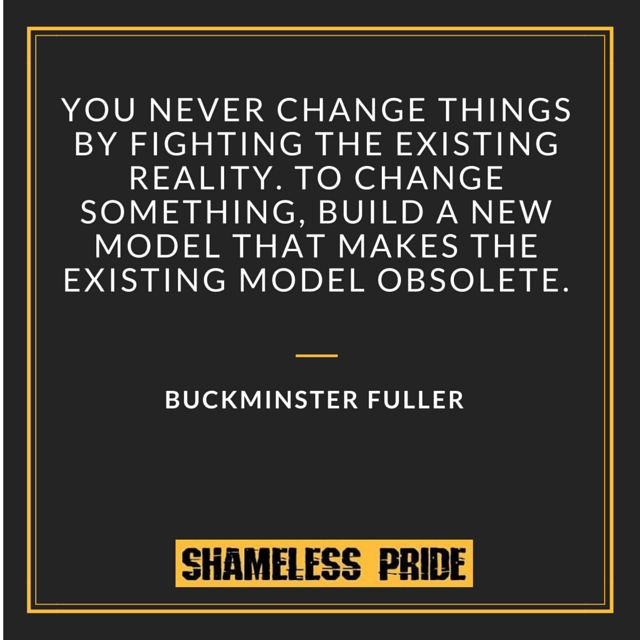 I believe strongly that radical innovation is how we advance as a society. Literacy is one such means. Without strong reading skills, a child has a small chance to thrive academically. If illiterate, a child (or adult) has no chance at all. Once a week, I go to an inner city elementary school to sit and read to a six year old boy. Most of the children in the program are deficient with their reading. This is due to a variety of causes – mainly instability at home due to lack of a father figure and money issues. Because of this experience, I see first hand how my time can help someone else. I give my time to this cause, and my money to XPRIZE, in the hope that I can make the slightest of difference. Charitable giving is nice, but without attacking the root cause in a creative, radical way – there won’t be a fundamental shift towards betterment. I can buy someone a coat every year, but better to work on the underlying conditions as to why that person cannot get a coat for themselves. That is how we advance – not by paying it forward, but by solving key issues at the core. Giving back is important – it improves our happiness and outlook on life. It makes us appreciate what we have (abundance) and teaches us to avoid thinking about the material possessions we don’t have (scarcity). We too often take our lives for granted. I am guilty of this, and try my best to remind myself that what I experience is temporary. My situation could improve, but it also could get much much worse. Unfortunately, many people are in bad situations now. Giving back, even if it’s just a bit, will do wonders for you and for those you are helping. Buy gifts, but be smart about it. Keep hem cheap and practical. Avoid big ticket items. The act of charitable giving is important. Donate to one of the above organizations, or to one that is meaningful to you. Even if it’s only time, it means something to someone. P.S. If you frequent Amazon like I do, go to smile.amazon.com instead. Under “Your Account,” you can choose a charity to donate by clicking “Change Your Charity.” They have a variety of options, but you can also add in one of your choice. By doing this, Amazon donates a part of your purchases to this charity. It’s a great way to give back – all by shopping as you normally would. Are there any organizations or charities that are meaningful for you? How do YOU approach gift giving? Let me know below!